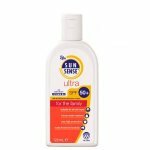 SunSense Kids Milk is carefully formulated for the delicate skin of children. 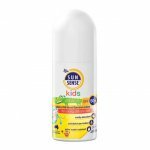 It gives increased protection against the sun's harmful radiation yet contains lower levels of those substances which may irritate your child's sensitive skin. 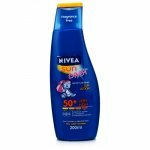 Children's skin is very delicate and needs the best possible sun protection. Whenever possible keep children out of direct sunlight. Protect them with natural shade such as trees and umbrellas and encourage them to wear hats, shirts and other protective clothing. 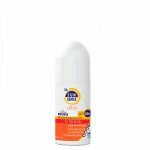 Protect all exposed areas with SunSense Kids Milk. 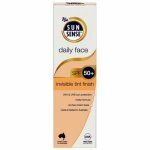 To ensure full protection from your sunscreen, apply 20 to 30 minutes before going out into the sun. This allows it to form a protective film on the skin. Aqua (water), C12-13 alkyl octoanoate, propylene glycol dicaprylate/dicaprate, isostearic acid, glycerin, titanium dioxide, butyl methoxydibenzoylmethane, potassium cetyl phosphate, benzophenone-3, pvp/eicosene copolymer, octyl triazone, phenoxyethanol, aluminium stearate, butylene glycol, xanthan gum, dimethicone, cetyl alcohol, magnesium aluminium silicate, methylparaben, peg-4 laurate, disodium edta, propylparaben, bht, parfum, iodopropynyl butylcarbamate.